The New Year has come and now is the perfect time to gear up for the coming spring. Whether you are starting your own clothing brand, or promoting sports teams, creating trade show giveaways for a product release or simple stocking those shelves with quality printed t-shirts from StonerDays. Picking which wholesale t-shirt, hoodies and sock designs to buy can be tricky. So we have decided to make things a little easier on you. Here are our top sellers for 2018 that will quickly fly off your shelves. 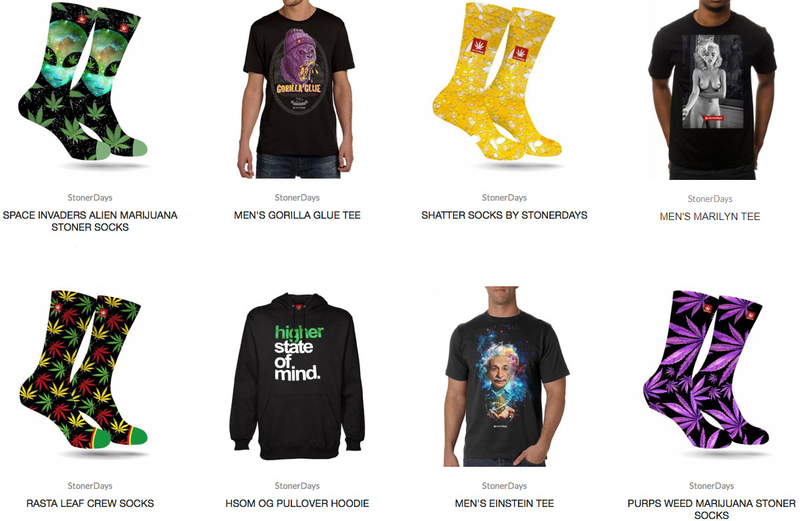 Here at StonerDays we designs and sells premium quality t-shirts, hoodies and sock world wide. With the newest technology available we offer a finely unique range of designs and colors for men and women. Our diverse range of high quality apparel also includes hoodies, tank tops, and sock with a unique design that cannot be found any where else. We takes pride in every piece of clothing we print on. Each item is handled with care providing our customers with the finest product possible and we stand by it with our customer care operations team. Let us provide a custom shirt tag on each t-shirt, hoodie and tank which is a favorite among the many marquee brands of Californian surf and skate culture who we are proud to work with and support. We are commitment to our wholesale customers and make it an ongoing concern to ensure that our customers are satisfied. We also assist with articles and links to assist you to grow your brand and your business through your relationship with you. Ask us for more information. Feel free to contact us at anytime or simply sign up at our Wholesale page. Looking fly is something that stoners of this day and age take very seriously. It’s nice to have nice clothes, nice hair, a clean face, etc. Most smokers these days take a lot of time when putting themselves together in the morning. Which is why it’s really important to start with the outfit if you’re working on creating a classy air for yourself. When you wake up in the morning, picking out what you’re going to wear is at least 75% of your entire “getting ready” process. So how do you keep yourself stoner-ready but still presentable at the same time? As always, Stonerdays manages to combine high designs with every day fashion, a feat which most companies haven’t mastered yet. Let’s face it, not everyone can wear shirts with giant pot leaves on them all the time. 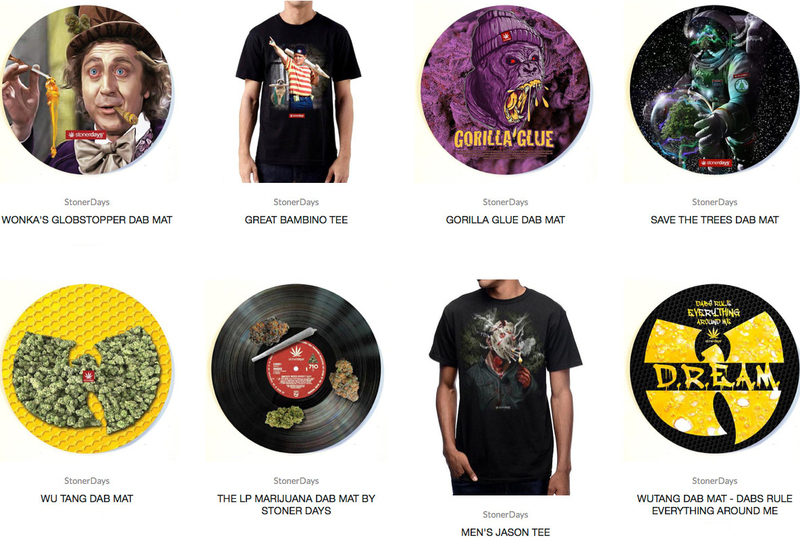 Yes, Stonerdays does produce shirts that are quite obvious as to what the owner is doing but at the same time, they have a good amount of “normal wear” as well. So every stoner, from the one who’s still kind of in the closet about their marijuana use to the one who legitimately doesn’t give a care, will have a favorite shirt from Stonerdays. 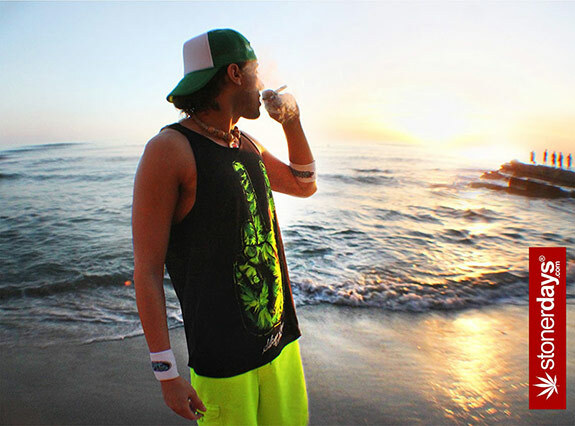 Featuring designs like the palm tree ladies shirt that says “GOOD VIBES” across the bottom and the men’s shirt with the traditional rasta colored “HIGHER STATE OF MIND”, the Stonerdays store has something to offer everyone. Not only are the shirts wearable for whatever state you’re in but they are by far some of the most comfortable articles of clothing you’ll ever purchase. Too hot in California? The material (while remaining opaque) is light enough for those blistering hot days but light enough to layer when it cools off. The shirts are machine washable and feature the new Stonerdays heat tag, a fancy new way of showing everyone where your clothes come from! And you won’t have to worry about the awful itch on the back of your neck. The line goes on to feature other new designs, such as the cute cat-in-sunglasses, the ENJOY tank (featuring a huge potleaf), and a peace sign filled with fan leaves. Looking for something a little warmer? There are also t-shirts available. 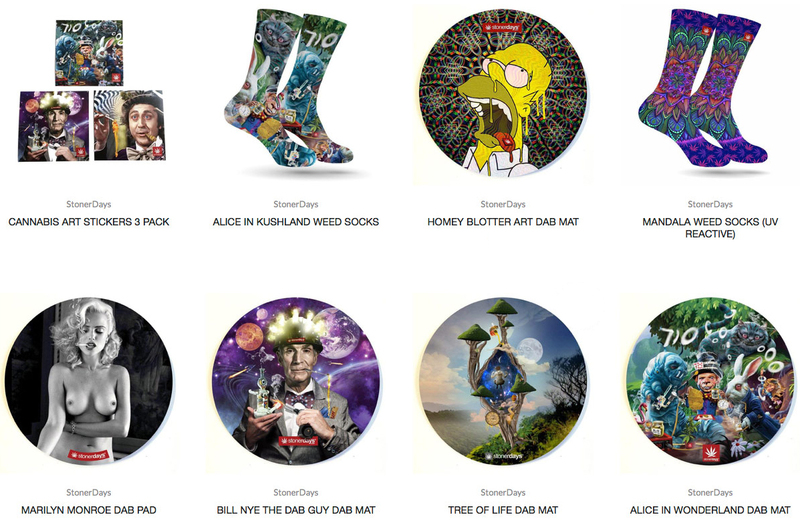 Pretty much, there’s no reason that you shouldn’t be checking out the Stonerdays store right now. There’s a little something for everyone and you’ll be able to wear your favorite stoner brand where ever your travels take you!